New Delhi, September 18: Opposition parties have been attacking the National Democratic Alliance government since the time it signed a deal with French Government to procure Dassault Aviation’s 36 Rafale Jets, in September 2016. The Congress alleged that the deal signed by the Modi government had caused a loss of Rs 41,000 crore to the exchequer. The opposition also raised questions on the offset contract given to Anil Ambani’s Reliance Defence Limited instead of Hindustan Aeronautics Limited (HAL). However, the Modi government refuted the allegations of the opposition. It claimed that the deal signed in 2016 was nine perecnt cheaper than that negotiated by the United Progressive Alliance Government (UPA). The deal dated back to April 2015, when Prime Minister Narendra Modi had made an announcement buy 36 French-manufactured Rafale fighter jets. In 2012, The UPA government had chosen Rafale over fighter jets from the United States, Russia and Europe. Initially. 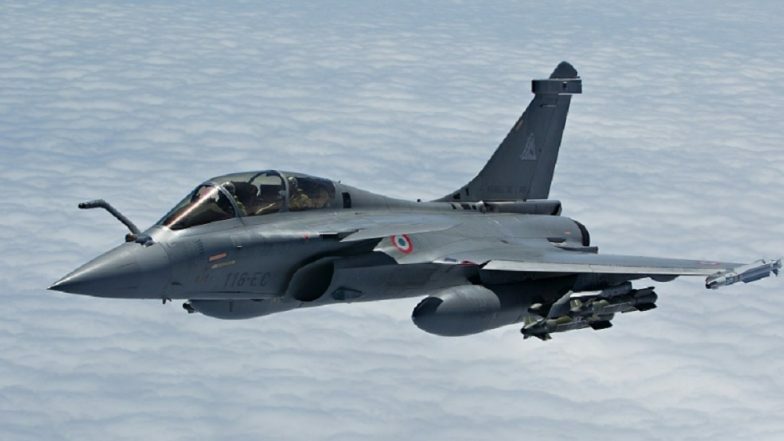 The UPA government proposed a deal to purchase 126 Medium Multi-Role Combat Aircraft (MMRCA), Rafale Fighter jets worth USD 12 billion which amounts to Rs 78,000 crore (approx.). Out of these 126 jets, 18 were to be procured in ‘ready to fly’ condition and rest were to be produced in India in partnership with HAL. The UPA failed to conclude the deal before the 2014 Lok Sabha elections. However, the NDA government after coming to power scrapped the old proposed deal. The central government signed a new contract with the French government in 2016, worth Rs 59,000 to acquire 36 jets in ready to fly condition. The Congress alleged that the NDA government purchased these jets at a higher cost. According to the Congress, the government paid three times the cost of each jet as compared to that negotiated by the UPA government. However, countering the Congress’ allegation Finance Minister Arun Jaitley claimed that the deal signed by the NDA government was nine percent cheaper as the jets would come with various additional features and weaponry. The finance minister said, “What was negotiated from 2015 to 2016 and finally executed in 2016, with the escalations and the currency variations, the basic aircraft price turns out to be 9 percent cheaper.” Defence Minister Nirmala Sitharaman has also hit out at the Congress. She said that the question related to de-selecting of HAL as the offset partner should be asked form the Congress as the UPA government took the decision.